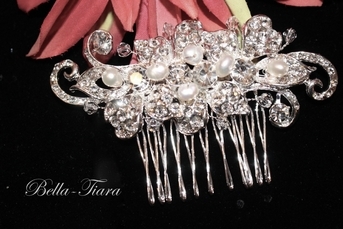 Description: Beautiful, romantic, dazzling, and elegant the perfect comb for your elegant day. approx 3" long x 1.25" wide. Copyrights © 2017 Bella-Tiara.com. All rights reserved.